Summer is without a doubt my favorite season. I’ve got Caribbean blood so I crave the warmth of the sun! And of course there’s the bonus of extended daylight hours, and the option to rock barely there sundresses. But during the summer, it’s always a struggle to keep my skin dry and my hair moisturized. The harsh sun seems to sap all the life out of my hair, and when I try to grease it like I do throughout the winter, it just gets all limp and oily. That’s why I have to find other ways to nourish my hair during the summer months. 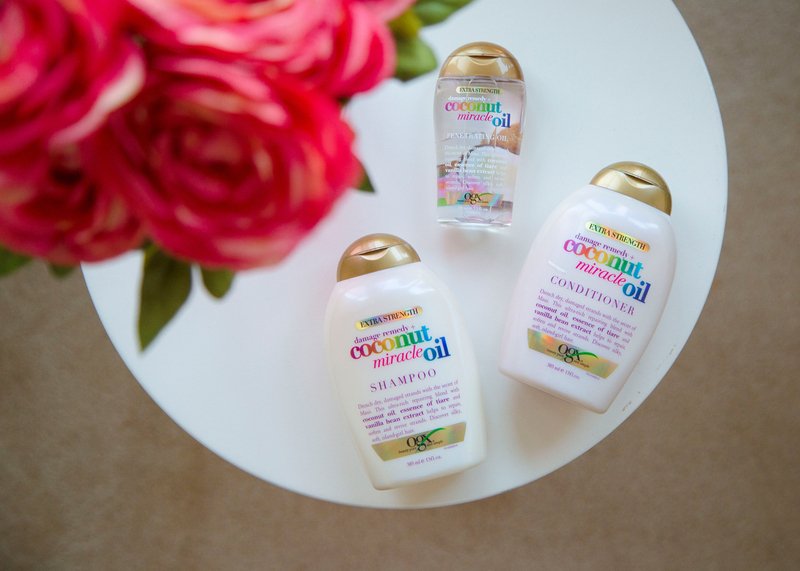 My fave drugstore brand, OGX, sent over some right on time products from their new Coconut Miracle Oil collection. These ultra-moisturizing products are formulated for thick to coarse hair, and are meant to “help repair, soften and revive damaged strands and discover silky, soft island-inspired hair.” I received the Coconut Miracle Oil Penetrating Oil, Coconut Miracle Oil Shampoo and Coconut Miracle Oil Conditioner. I always love using OGX products – they seem to work well on keeping my hair nourished and moisturized from the inside. And the products in this collection are no different. Since using them, my hair feels a lot less dry and a lot softer and healthier. A friend of mine even asked me recently: “What did you do to your hair – it looks great!” thanks, OGX, for helping me get my hair in shape this summer!